A Sadhu who renounced the society, adopts a baby renounced by society. Yeti: Passion and peace can never live together. 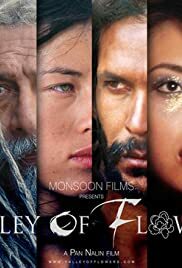 I am probably the only person who has seen TWO Valley of Flowers the one I saw in Delhi and second I saw today here in Turkey at the Gala premiere of Eurasian Film Festival where Valley.. is competing with some of the best films from Europe and Asia. In Delhi I had really loved the movie -thus here in Antalya I wanted to go and see it again with friends but little did I know that the film was violently butchered down by good 40 minutes from its original version!! Here, I disliked the film. Does anyone know why? OR is it one of those same old song of "creative differences" where producers and distributors get to chop movies to make them commercially viable?! If that is the case -then it is sad. Because the director's cut was long but played hypnotically well for me. The film's theme is powerful and rare. And I agree with other comments that the film will have tough time finding its audience. However I do NOT agree with the comments from ChomChom India -it sounds more like Jealousy or Bitterness then a serious comment. And ChomChom from India should not generalise, I was also present at the very same screening and me and my friends loved the picture. Pan Nalin's Valley of Flowers would surely add a new angle to many Buddhism based movies. The whole idea of impermanence and laws of karma is portrayed in delightful modern way. Valley has Japanese MANGA like quality and interwoven web of deep Asian philosophy. The film is full of codes, most are difficult to decipher unless you pay close attention. Followers of Eastern Religion and Philosophy will be able to point out these symbols. Another reason I loved Valley... is because it reminded me of Antonioni's "The Passenger" -the lead, Jack Nicholson plays reporter who does his time in the desert and steals identity of a dead arm trafficker. Then he meets Maria Schneider character, love blossoms and together they travel into the oblivion... Like Jelan and Usna of Valley of Flowers. 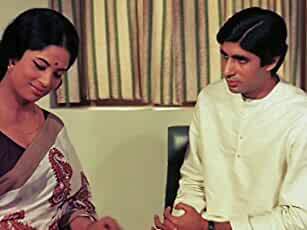 If you do get opportunity to see Valley's Director's Cut don't miss it. However, If you are going to see the butchered version of 2hr then you better visit the official website of the film (www.valleyofflowers.com) and understand the story and background. If not you just MIGHT not get it -like ChomChom from India.